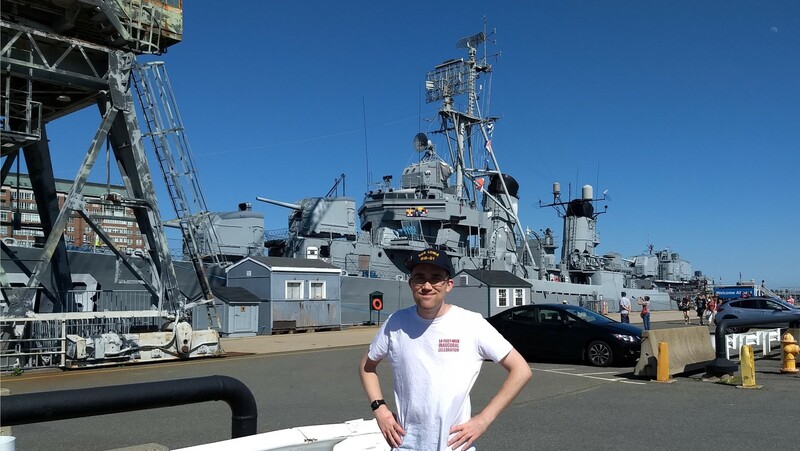 While visiting Sister Bean in Boston, we took the Freedom Trail, and ended up at the Charleston Navy Yard, home to the USS Constitution, the oldest commissioned ship in the US Navy, and the destroyer Cassin Young. It was an enjoyable visit, although I wasn't blown away. Let me start with the good. Constitution is basically the bedrock on which the traditions of the US Navy, the greatest navy the world has ever seen, were built. 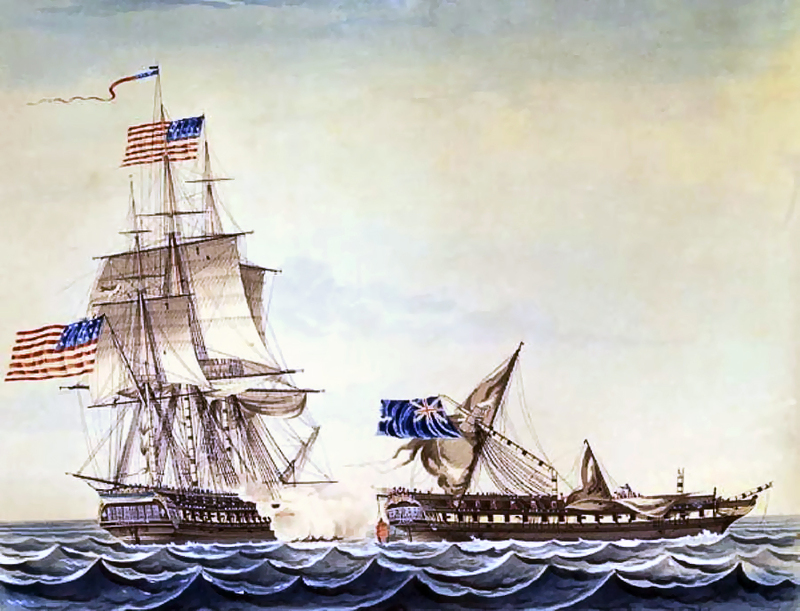 She was one of the original six frigates built for the USN when the United States decided to build a proper navy in 1794 to fight the Barbary Pirates. After a treaty with the Barbary States was concluded, George Washington managed to convince Congress to complete Constitution, and two other ships, Constellation and United States. 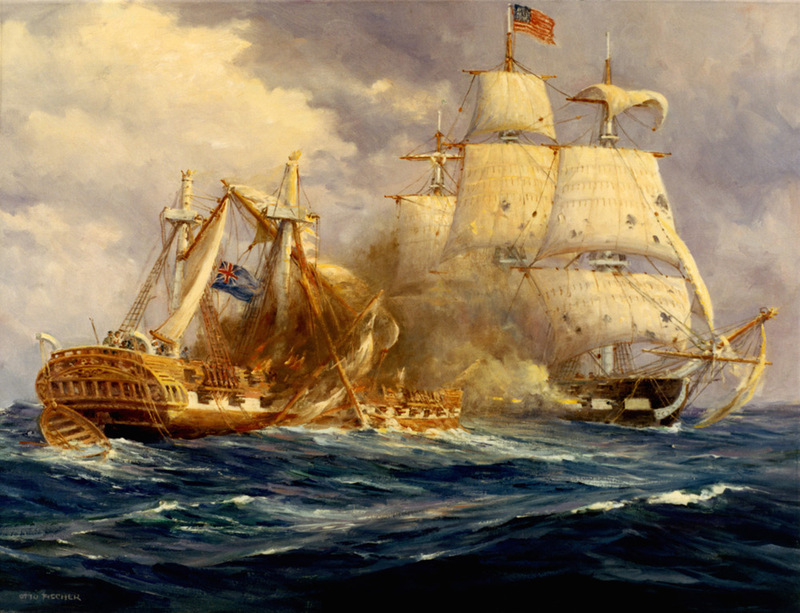 Constitution's first service came in the Quasi-War with France over the US non-payment of Revolutionary War debt to France, and the French reaction of taking US ships, although she never had the chance to distinguish herself there. Later, during the First Barbary War, Constitution was sent to the Mediterranean, where she took part in the famous expedition "to the shores of Tripoli". A month later, on August 19th, 1812, Constitution sighted the frigate Guerriere. Hull held his fire until he was within 25 yards, then unleashed a devastating broadside, bringing down the smaller ship's mizzenmast.2 The drag of the downed mast caused Guerriere to collide with Constitution, her bowsprit tangling with the rigging of the American ship. Both captains attempted to board, but heavy seas kept them from doing so. 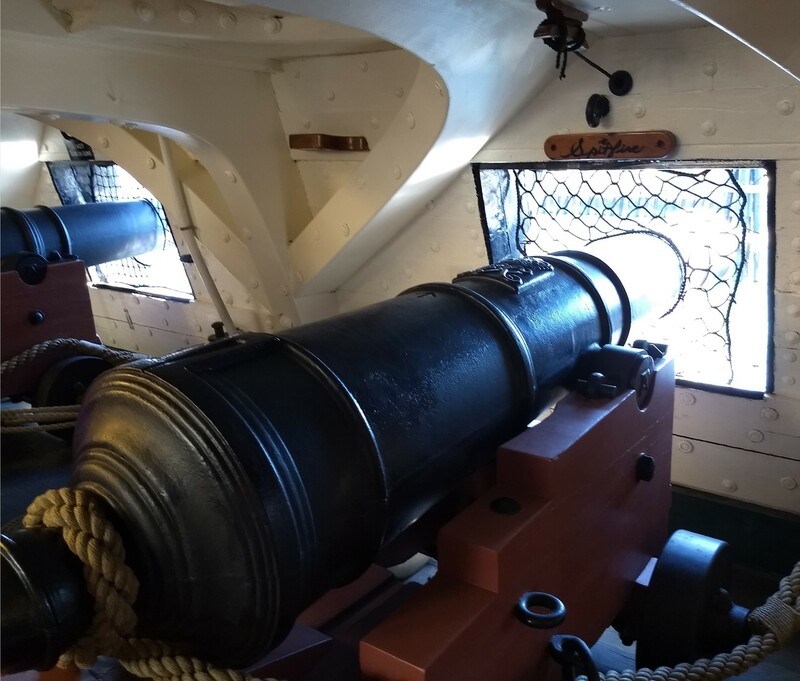 Constitution could still fire her broadside, while Guerriere was limited to her bow guns, and the cumulative damage, combined with the shock when the ships were finally freed, brought down the fore and mainmasts of the British vessel. The British captain, a third of his crew dead or wounded, surrendered shortly thereafter. 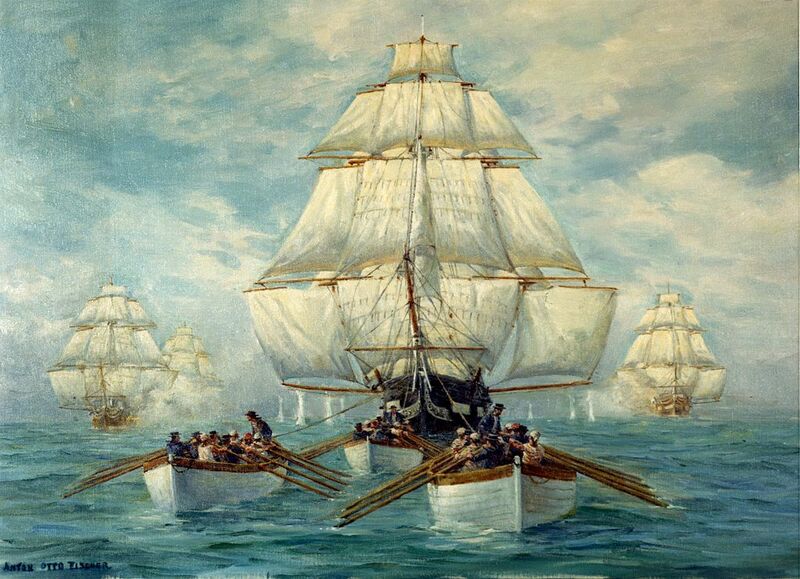 The sight of British cannonballs bouncing off her live oak hull lead the crew to dub the ship "Old Ironsides". Guerriere, too badly damaged to be towed into port, was burned, but news of the victory spread quickly. It was a huge shock to the British, who had long thought themselves masters of the seas. On her arrival back in Boston, William Bainbridge took command of Constitution, and headed for the waters off South America, to wreak havoc with British commerce there. Off Brazil, she encountered HMS Java, another frigate. Java damaged Constitution’s rigging and destroyed the wheel, forcing the crew to steer using the tiller ropes, and wounded Bainbridge. The ships collided in much the same way that had occurred in the previous battle, and Constitution brought down Java’s masts, then drew off for repairs. When she returned, she was able to position herself to rake Java, and the lieutenant commanding Java after her captain was injured surrendered his ship. Like Guerriere, she was too badly damaged to be worth taking as a prize, but the victory was another great blow to the Royal Navy. 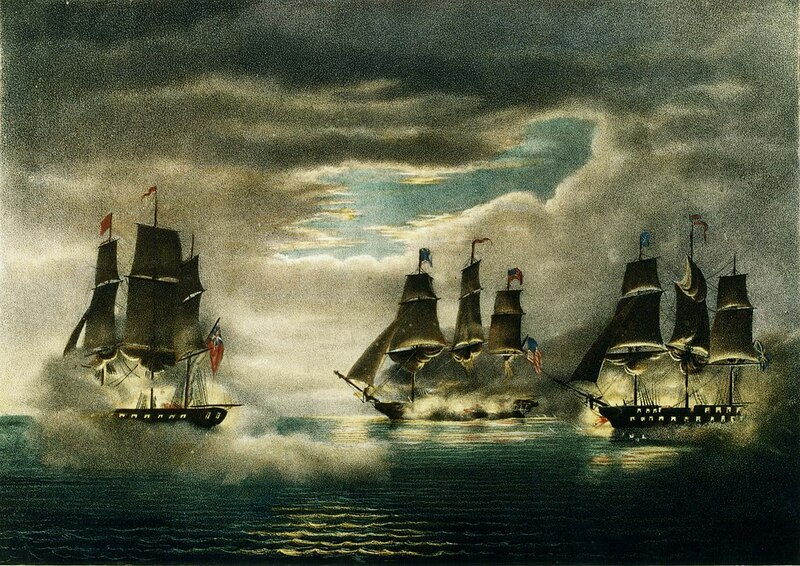 The Admiralty ordered its frigates not to engage the heavier American frigates one-on-one, and squadrons soon appeared off the American coast, blockading Constitution and her sisters in harbor. Constitution did make a few more cruises before the end of the war, capturing HMS Cyane after the Treaty of Ghent was signed.3 She spent the next few decades in and out of reserve, serving in various stations when she was active. In 1857, she was converted to a school ship, training midshipmen of the Naval Academy. She passed through various auxiliary roles from then until 1907, when she became a museum ship. In terms of the museum ship herself, Constitution is in great shape. 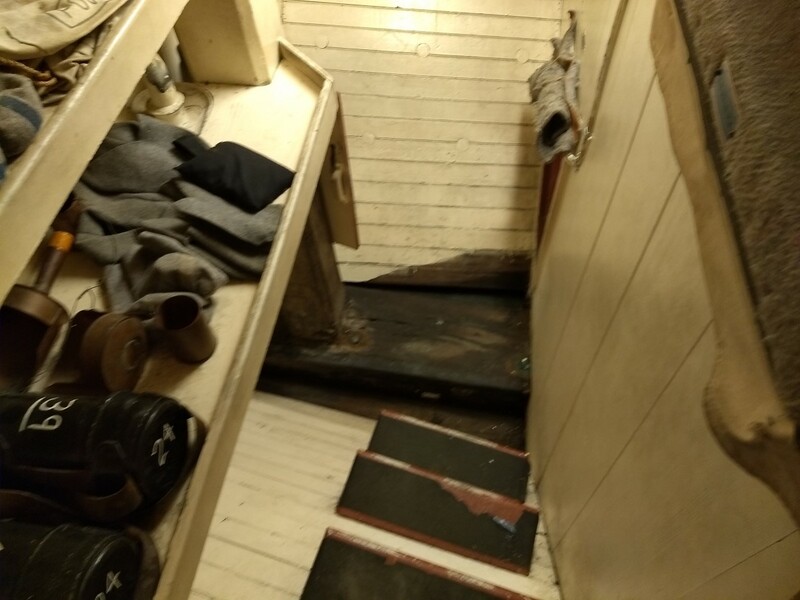 All but 7-12% of the ship's structure has been replaced, although the keel is still original, and she's very clean and tidy. The crew, who are actual active-duty sailors carefully vetted for the job, were friendly and helpful. 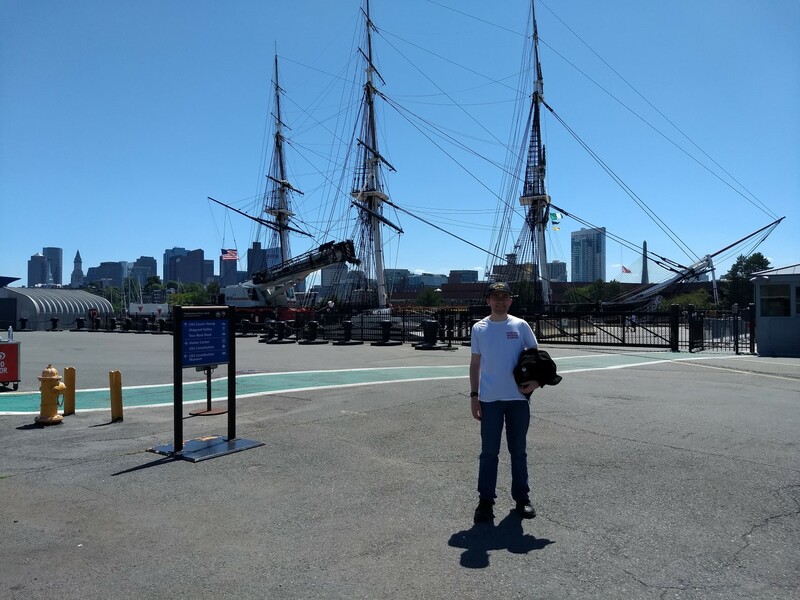 And it was really cool to see both the legendary ship and a bit about how men lived aboard warships in the age of sail. One of the cannon replicas - note the name "Spitfire"
But there were problems. Signage aboard the ship was nearly non-existent, and there weren't enough sailors aboard to make up for it. I knew enough to be able to understand what I was looking at, but most people didn't, and even Sister Bean suffered because I wasn't able to articulate it that well. Another issue was that detail just seemed to be lacking. The gun replicas were quite rudimentary, and there wasn't a good view of a lot of the pieces that I knew went into a sailing warship. Also, the USN really needs to look into the history training the crew gets. Our guide was very personable, and a good storyteller, but the stories he was telling were playing fast and loose with history. He tried to give an account of the battle with the Guerrire, but ended up telling a weird hybrid of details from that action and the engagement with the Java, while also trashing things that were common seamanship techniques at the time. Cassin Young, a Fletcher class destroyer best known for surviving two kamikaze hits, was moored to the next pier over. She's run by the National Park Service, and I was very glad to have a floating steel warship under my feet after nearly 11 months. Overall, the Park Service has done a good job with Young. The signage is pretty good and the spaces feel lived-in in a way that they don't aboard Constitution. The whole thing felt like a baby version of Iowa, because while there was a clear kinship, Cassin Young is tiny to a battleship man. But she's in good shape, and in an interesting 50s configuration, including ASW torpedo launchers and hedgehogs. 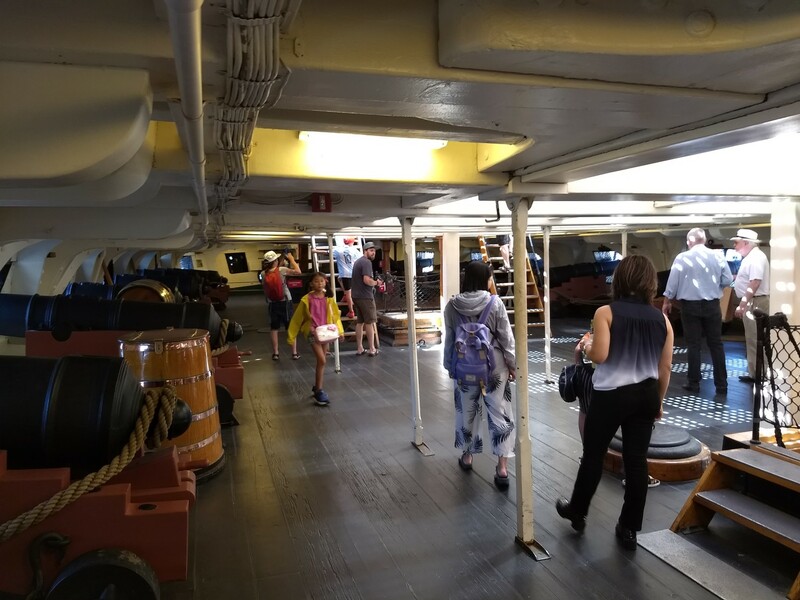 The biggest drawback is that you can't leave the main deck without being on a guided tour, and I had overlooked that, figuring that I didn't need a tour guide. We got there after the last one of the day, and I was rather disappointed. Check your times before going. There was also just one Ranger on duty, which didn't give a huge opportunity for geeking. In fairness, it was a Friday. There's a couple of other things in the area. 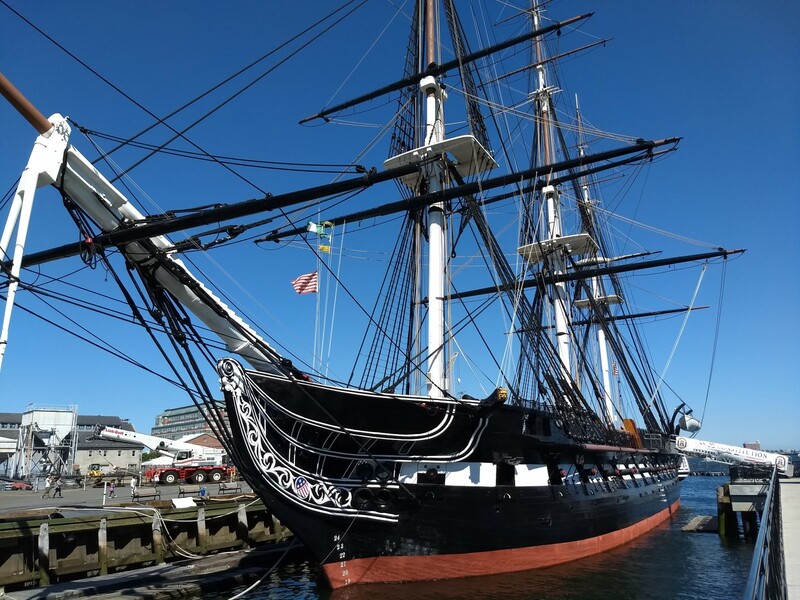 One is the USS Constitution Museum, a private nonprofit in a building nearby. This museum was in a lot of ways the thing that came closest to meeting my expectations. It was clearly geared towards kids, at times too much so, but it was pretty well-done. 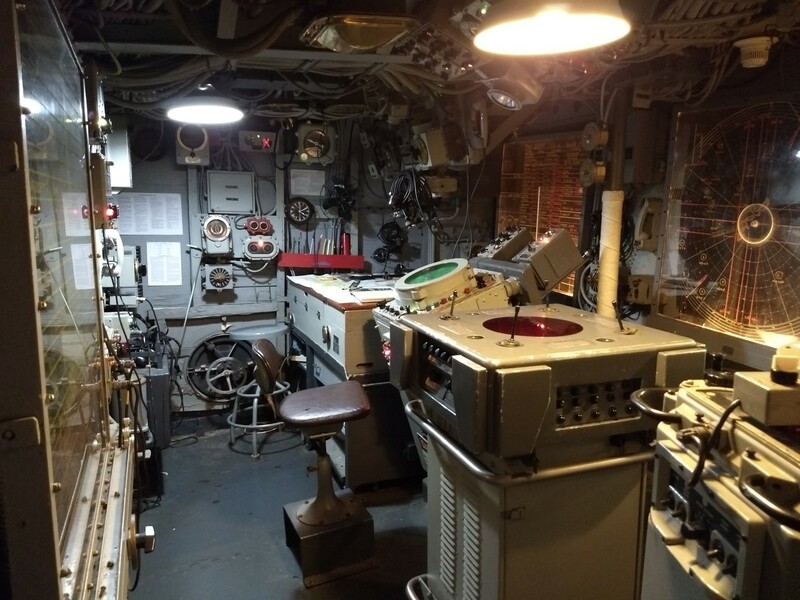 The exhibits looked at pretty much all aspects of the ship's career and life aboard her that were not well-covered by the ship herself. It helped that I'd read Patrick O'Brian, but SB appreciated it too, and she hasn't. This museum was also free, although I'd encourage you to donate to keep them going. 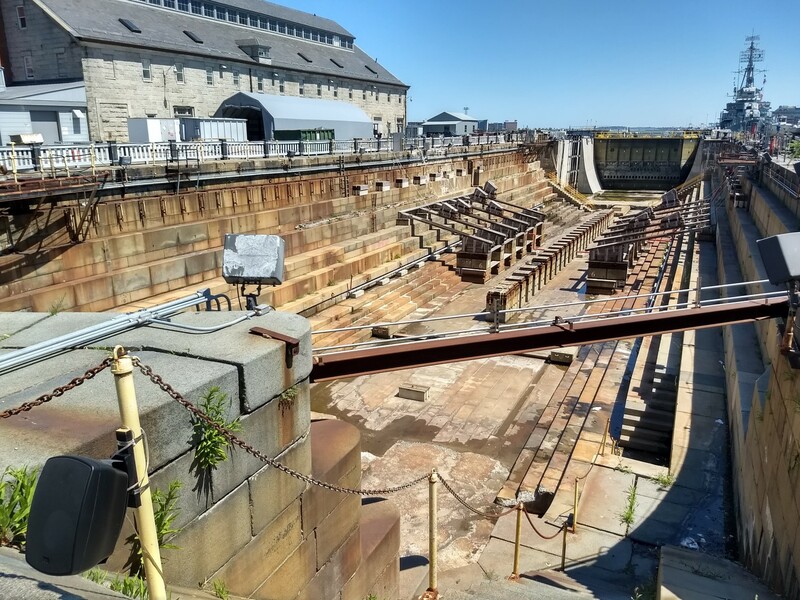 There was also Drydock 1 from Charleston Navy Yard smack in the middle of all of this. There was some signage on it, which was pretty interesting. Overall, I'd highly recommend Charleston Navy Yard. It didn't quite rival Iowa or Midway, but it was a very solid way to spend an afternoon. I was going to question "oldest ship afloat", but it looks like you're right. Interestingly, it appears that I saw the oldest ship afloat, and the oldest merchant ship afloat on this trip. And yes, it does look like Victory wins that one, if we don't count ships that have not been... shall we say continually above the surface of the water. That's also a really good point. I've jokingly included Constitution on lists of USN ironclads, but I hadn't thought about her unique situation before. And yes, my post on Victory is coming. And I very much look forward to it. One night just before 9/11 I was flying along over the North Atlantic with a another pilot named Cassin “Cass” Young. I half-jokingly asked him if he was any relation to the namesake of the “ship up in Boston.” Well, it just happened it was. His grandfather! Cass was third generation Naval Academy and became a Naval Aviator. At the time he had just been up to the yard for a ceremony that the Navy and the city had staged but I don’t recall the specifics. If I am not mistaken Young won the Medal of Honor and thus got a ship named for him. Small world reading about this now. Very interesting. USNA does tend to run in families, but I'd never thought about it that way. As for the original Cassin Young, he was awarded the Medal of Honor for his actions as captain of Vestal at Pearl Harbor. Vestal was moored alongside Arizona, and Young first fought the AA gun, then was blown over the side when Arizona exploded. He swam back to Vestal, and managed to get her underway and beach her. Young was later killed at Guadalcanal while in command of San Francisco. I think the oldest intact ship (that has been continually above the surface of the water) is Egyptian. While that is technically correct, I think that the bit where archeologists got involved is still sort of disqualifying.